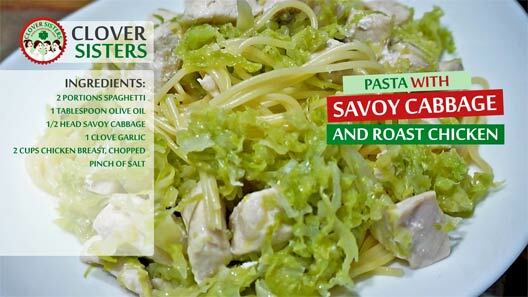 What I really love about this recipe is how quick is prepared and it has everything included, it’s hot meal and it’s quite possible to fall in love with pasta savoy cabbage combination. In a large pan, heat the olive oil and then add the chicken. Stir few minutes to roast and then add the savoy cabbage, garlic and salt to taste. 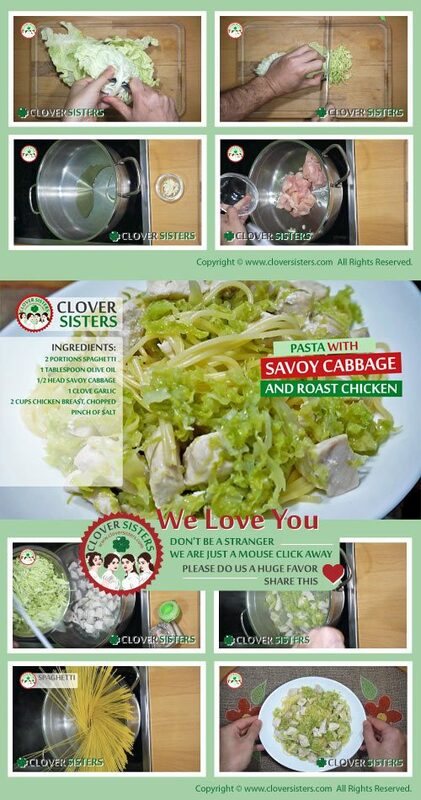 Cook to soften savoy cabbage, add 1-2 tablespoons of water if needed. After about 15 minutes, paste should be cooked. Add spaghetti and fold in. Serve warm.